Did you know that three out of every four people are afraid of public speaking? Imagine now that you are fourteen standing in front of hundreds of people at your graduation ceremony. It’s no small feat, yet Lexington School school leaders do it every year. This year their topic was Mission Skills. 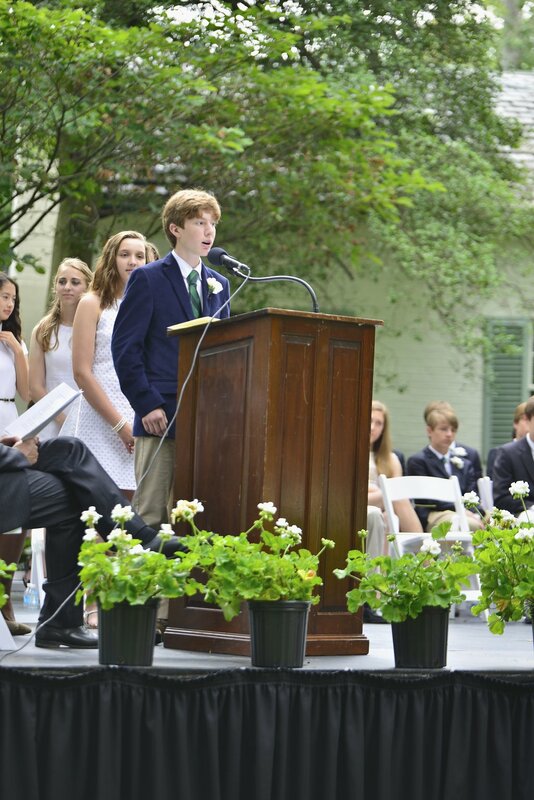 Six students spoke on their journies through The Lexington School and their experiences with teamwork, resilience, ethics, time management, curiosity, and creativity. It isn’t lost on anyone that the sheer process of collaborating to imagine, create, and deliver these addresses defines the topics of which they speak. Jon goes first. He talks about TEAMWORK.